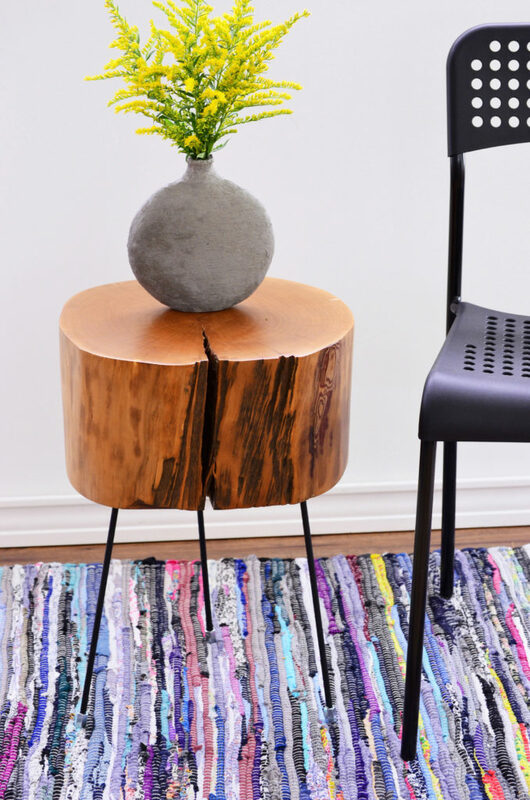 The wood for stump tables is affordable (usually free!). 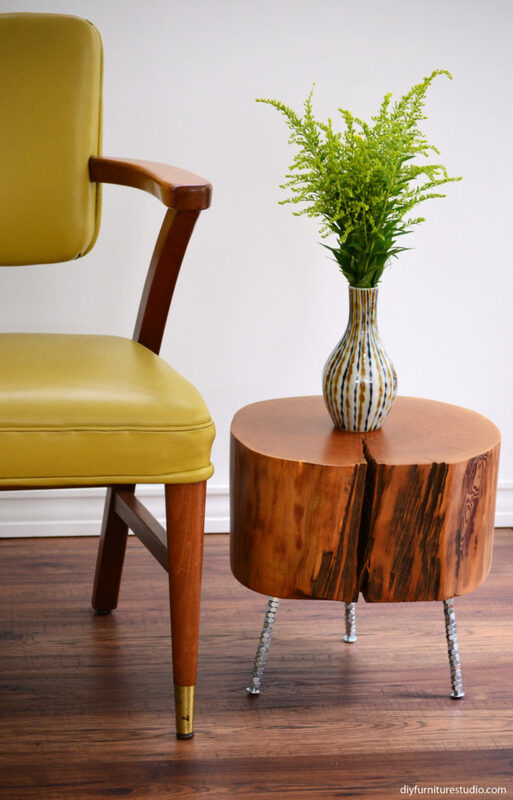 In this post I’ll show you some low-cost, easy-to-make DIY furniture leg options for your stump table. 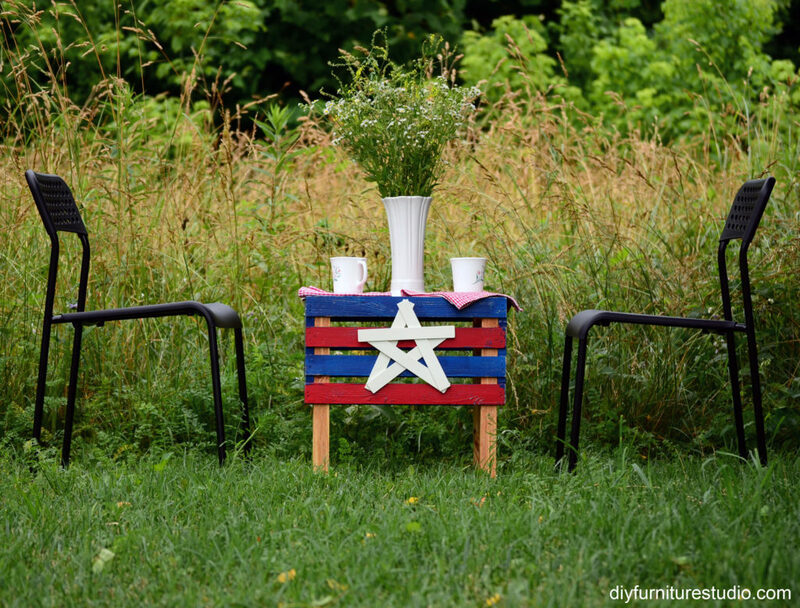 Of course, the legs can be used in other furniture projects, too! I don’t have that much carpentry experience, and I’ll tell you a secret–I’m not sure I want too much. What I mean is, if a furniture piece involves a compound miter saw and a table saw, lots of angled cuts, a long cut list (or any cut list), a pneumatic nailer, or generally something complex, it probably isn’t the project for me. I admire fellow bloggers who can whip out a big farmhouse table or something similar. But for many types of furniture builds, I like looking but not doing. Are any of you in this situation? For all of you concrete/cement enthusiasts, check out the DIY Furniture Studio Concrete and Cement Furniture/Decor/Garden Community Board on Pinterest. 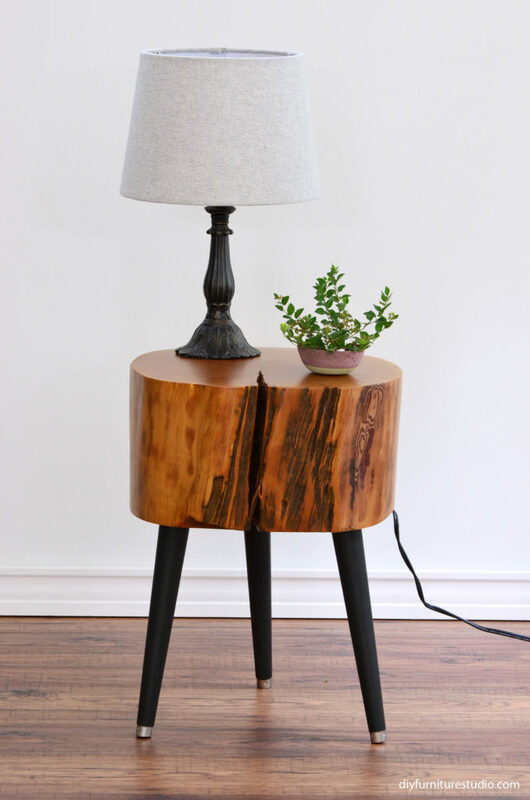 If you want to join as a contributor comment “ADD ME” on this pin: https://www.pinterest.com/pin/500603314815473738/ or email me at jen@diyfurniturestudio.com. 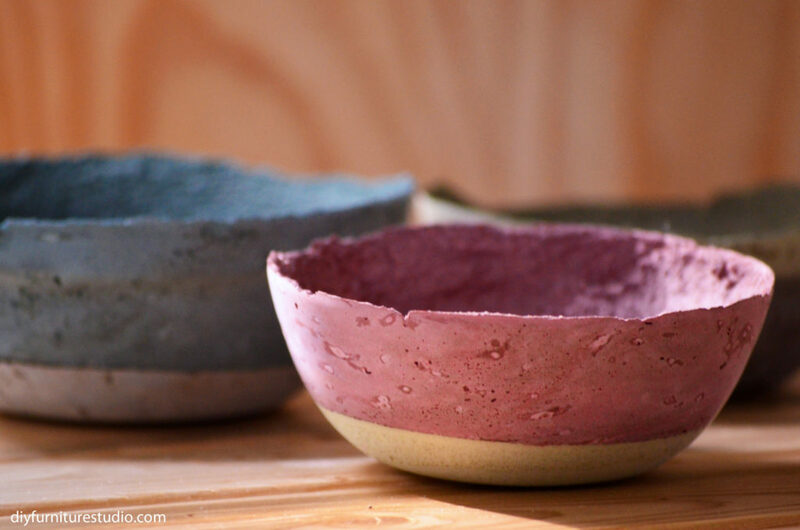 Add some color to your DIY cement decor projects using latex paint as colorant. 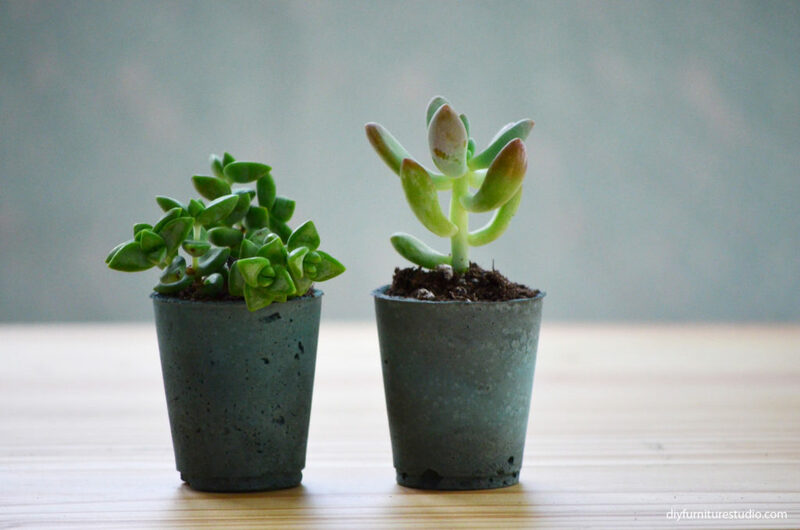 Learn how to create unique colorful decor such as succulent planters, bowls, vases, and plates. 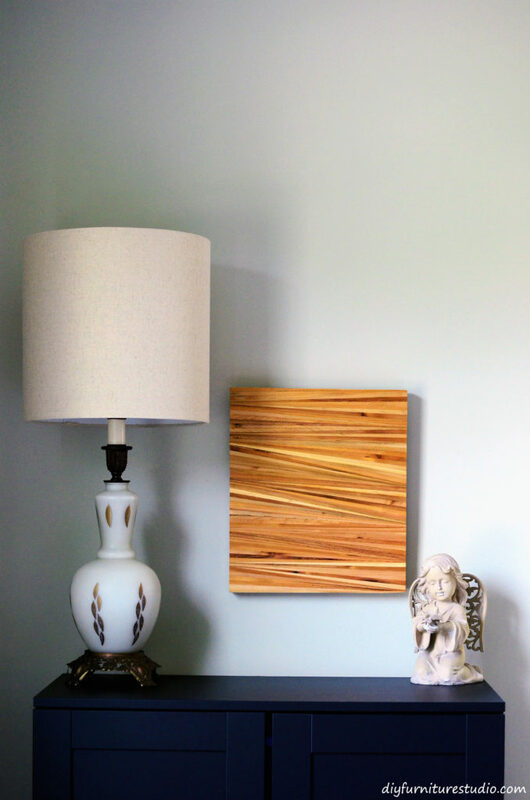 Upcycle some wood shims! 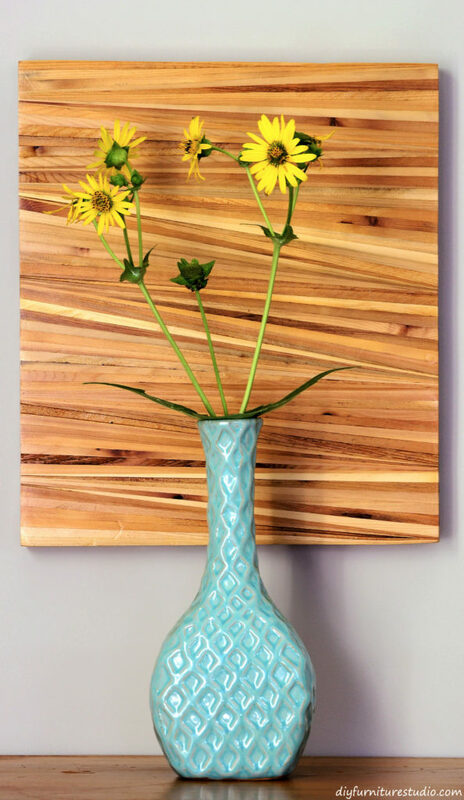 This wood shim wall art is made of ordinary 16-inch construction cedar wood shims glued together. I’m back from vacation and ready to make more furniture and decor! Let’s get to it! 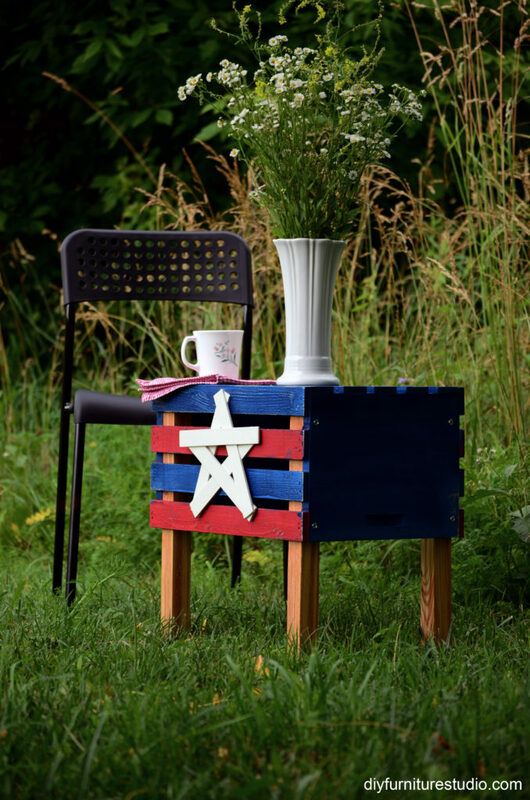 This easy-to-make rustic side table is made of a wooden crate turned upside down and simple wooden legs that are attached inside the crate. 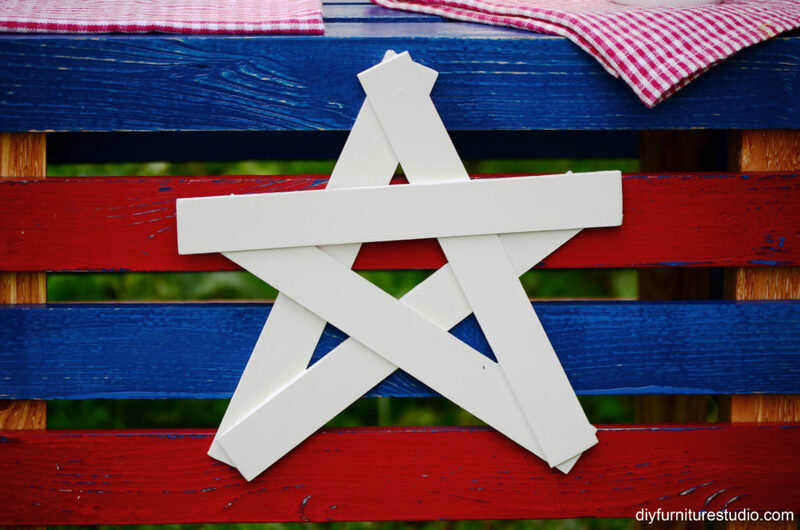 I had fun decorating it with a red, white, and blue theme in honor of the Fourth of July holiday here in the States. 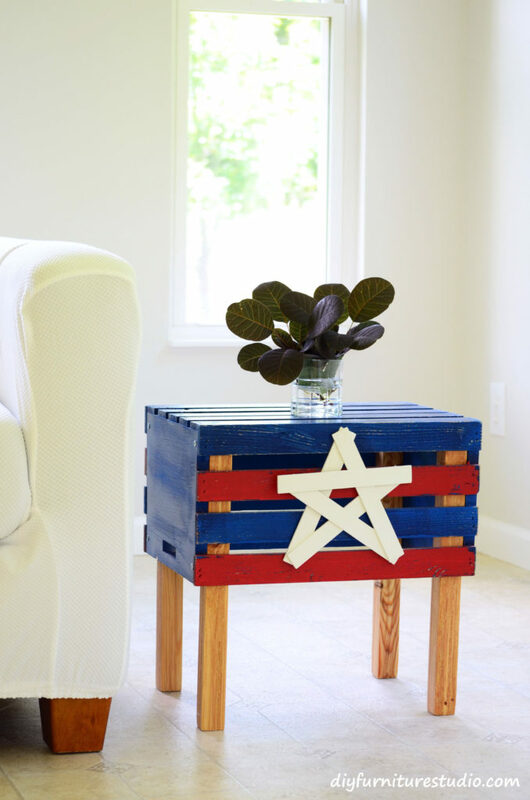 Decorated to your liking, it could be a lovely side table for use in a child’s bedroom, in a nook by the recliner, or even as a plant stand next to a sunny window. 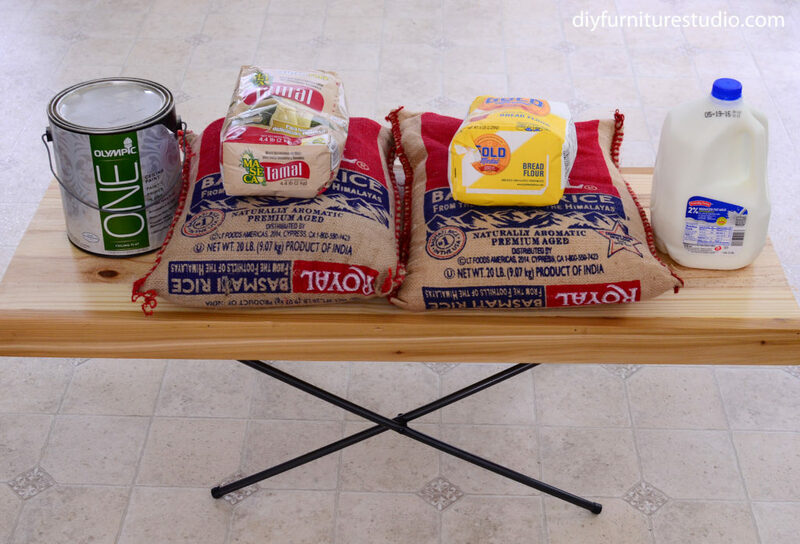 This is an easy DIY furniture project that can be made in less than a day, and that includes paint and glue dry times! Here we go. 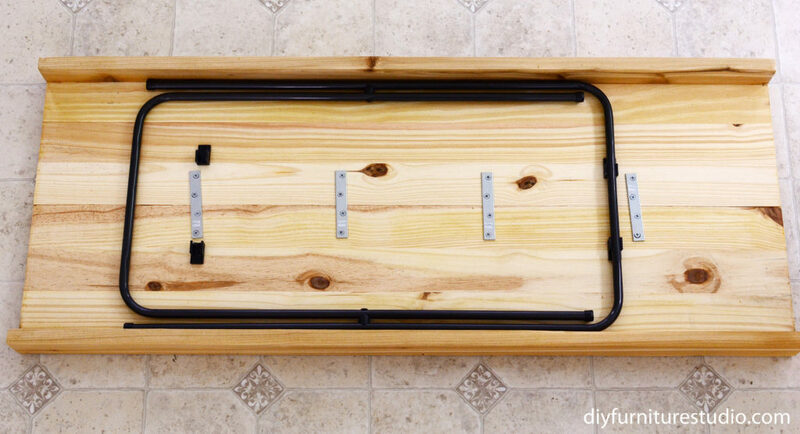 For this DIY project, I upcycled the legs from an inexpensive TV tray table and used two pine stair risers as the table top. I’m really excited about this x-base coffee table because it folds like a tray table, making it a snap to store when it is not being used. Wouldn’t this be nice for a small living room–you can get it out when you want it, and put it away when you don’t. 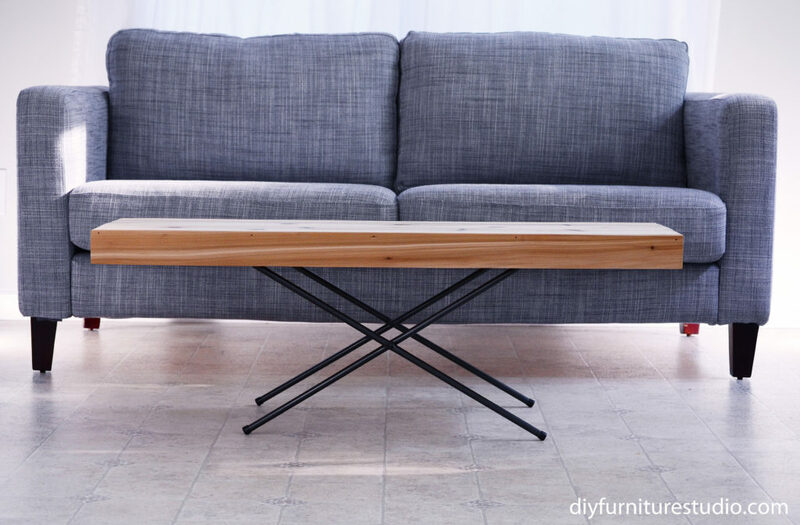 Because the entire legs/base is from a tray table, this coffee table is about as sturdy as a tray table. Keep that in mind, and see if it meets your needs. Here is my folding coffee table loaded up with about 60 pounds of goods, so I feel okay about putting a laptop on it, and some books, a drink, a remote, and kicking back with my feet on the thing. But I’m not going to sit on it or let my children sit on it (they’re teenagers). You get my point.